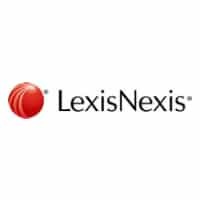 LexisNexis UK, a leading global provider of information and analytics, has launched Lex Chat, a series of podcasts focused on topics affecting legal professionals and their clients. The podcasts discuss key legal news with legal and subject matter experts, providing fresh insights into the topics affecting lawyers in the UK. Lex Chat is currently available through Spotify, Google Play (not yet available to UK accounts) and on iTunes. You can also subscribe online via Simplecast and more details can be found here.